I’m enjoying the drama more and more. I think it’s because Jiang Yu is starting to show more of his caring side to Cai Hong, and it makes me love his character so much. 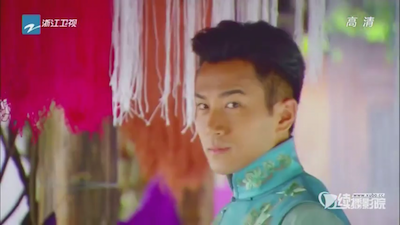 Hawick Lau could pretty much be OTP-ed with a piece of poo and I would still swoon at how he would look at that piece of poo and genuinely wish that I was that very piece of poo that was worthy of his love. I guess Hawick’s good looks and acting skills really saves the drama at this point because I don’t really like any of the other characters. 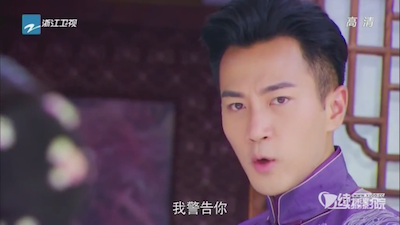 Cai Hong gets bullied immediately upon working as a servant. One of the servants there, Aunt Chang, keeps bullying her and pinching her. Cai Hong’s mom had suffered from a coma from a blood clot too, so she knew certain remedies. Cai Hong went by the the river to bait leeches, and she cooked them into a soup. The next day, she was caught feeding Mama Jiang this leech soup. They beat her for this. 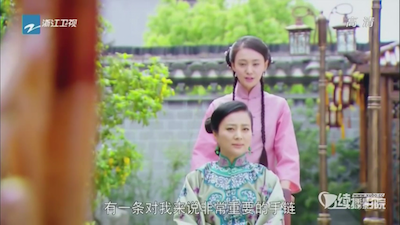 And in the next occasion, Cai Hong tries to stimulate Mama Jiang’s senses by using acupuncture and pressure points/massaging her to keep her muscles loose, and they mistook that for physically abusing Mama Jiang. And beat Cai Hong for that too. Meanwhile Shao Tian is miserable and desperate. His girl is working for his enemy, and he’s looking to get back onto his feet, so he goes to Lu Man. Honestly there’s so much stuff missing in this drama. Like, when Jiang Yu and his mother and Fei Fei got kicked out, and had their stuff confiscated, where did they go? They didn’t live in the city because Cai Hong lived there all her life and had just met him when he returned after 12 years. 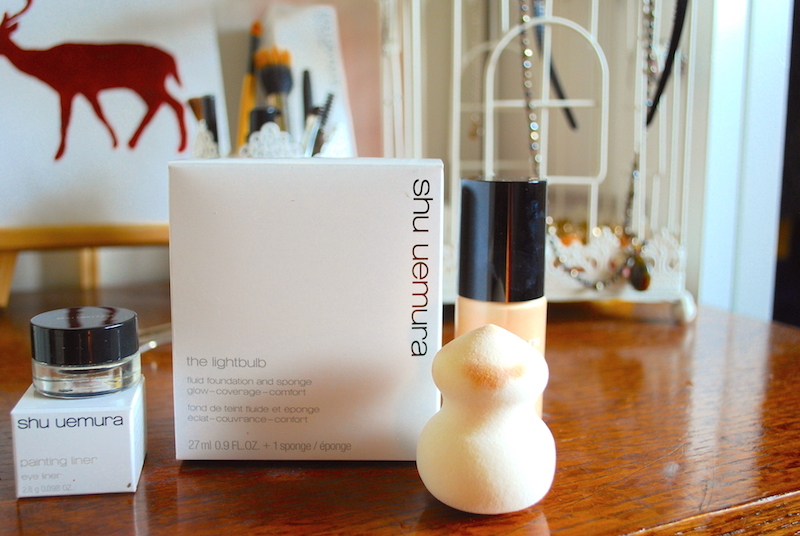 And what’s the background on Lu Man? Where did she come from? Did she have her own factory? Why is she so interested in the fabric business? 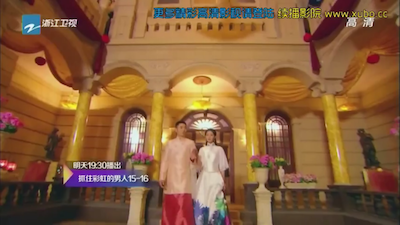 And Cai Hong’s mom? They keep talking about her but they never actually explain what happened. 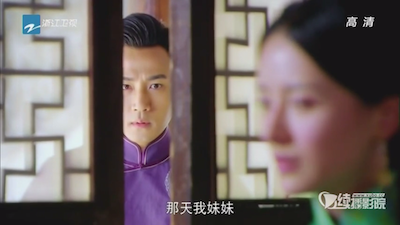 Anyways, at this point Lu Man asks for the secret method again, and Shao Tian repeats (again, it’s like she hasn’t been listening the past 8 times that he’s told her) that he doesn’t have the secret method. At this point Shao Tian says, “What if I provided all the money, and labour?”. 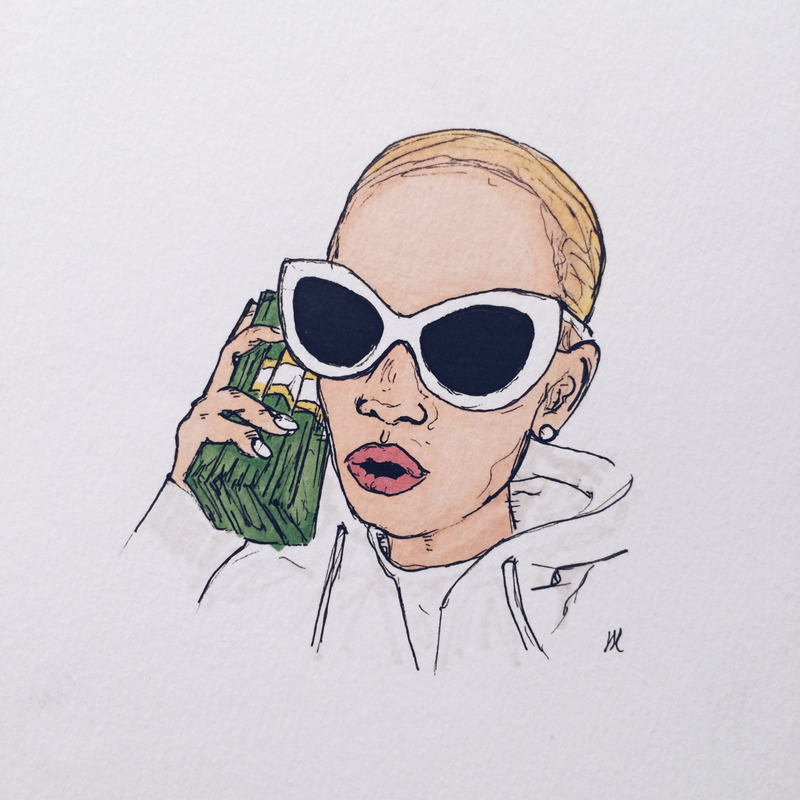 Pretty much Lu Man gets profit for investing absolutely nothing, her value to him is to help him launder money so he can spend his stolen Ling Long money. They agree, and start a new fabric company together. 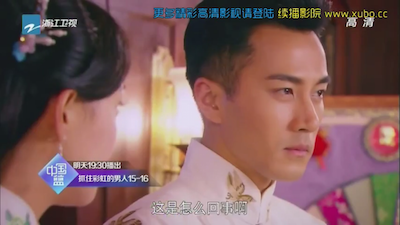 When Shao Tian gets home, he asks his mother about the secret method since his mom used to work at the factory, and his mom finally spills the beans on what happened to Papa Jiang. 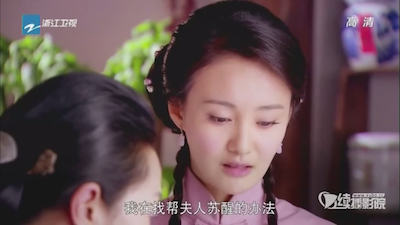 Turns out she thought Papa Jiang had actually committed the crime and committed suicide out of guilt too – and so did Shao Tian. Shao Tian has an evil look on his face after he finds out, so I think he’s going to use this information against Jiang Yu in the future. 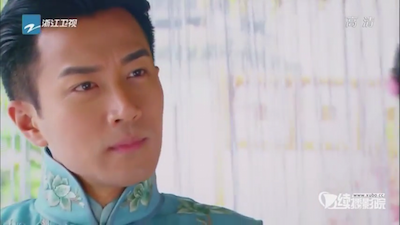 Meanwhile Cai Hong asks around significant things that matter to Mama Jiang. 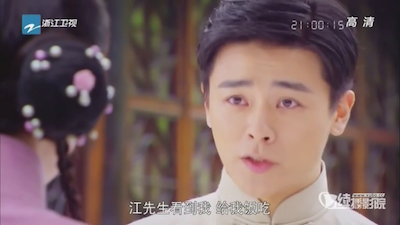 Cai Hong finds out that Mama Jiang is especially sensitive to this one song that was the soundtrack to Mama Jiang and Papa Jiang’s relationship. 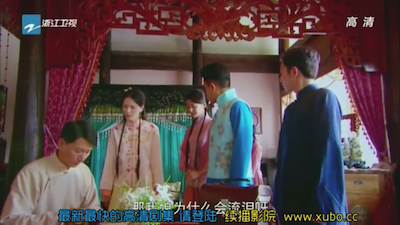 They yell at Cai Hong again after they find out that she’s been singing that sad song to Mama Jiang – and were very upset to find out that Mama Jiang had tears streaming down her face from hearing it. 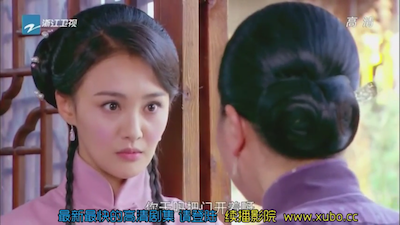 When Fei Fei and Jiang Yu told the doctor though, the doctor was elated and said that it was a good sign – meaning that Mama Jiang was becoming more responsive. After realizing that Cai Hong’s methods were actually effective, Jiang Yu actually set out to help Cai Hong. He catches her by the river using her legs to bait the leeches again and he shows her that there’s a lot easier (and a less dumb and painful way to do it) – by luring the leeches with a bloody cloth. 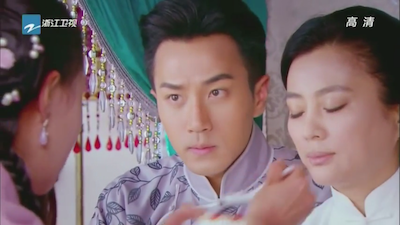 And feed Mama Jiang togther – look at how he stares at her admiringly (while I stare at him through my screen admiringly too <3). 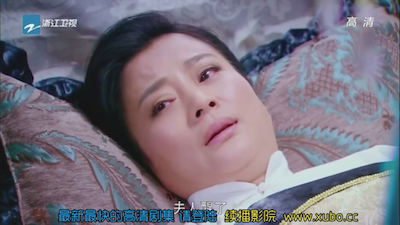 Finally one day, Mama Jiang wakes up from all the treatment, proving that Cai Hong’s methods had worked. 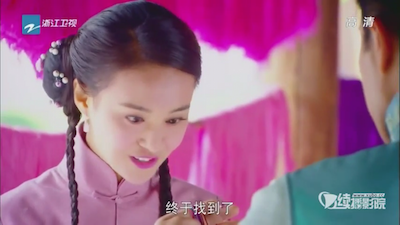 Cai Hong asks Jiang Yu to be rewarded with her rainbow bracelet that she received from Shao Tian (because Jiang Yu confiscated it after it fell off during the show to scare Shao Tian into confessing). Jiang Yu refuses, and Cai Hong ends up sneaking through his stuff. 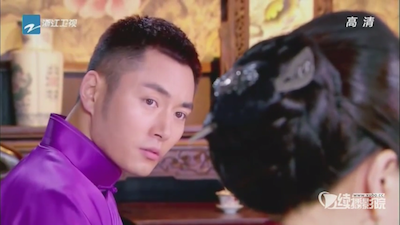 Cai Hong gets caught by Fei Fei – and Fei Fei rats on her to Jiang Yu. 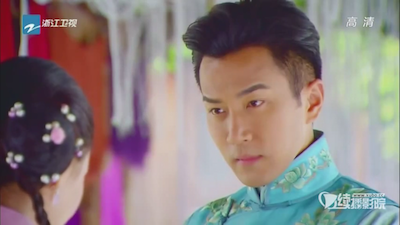 Jiang Yu reveals to Fei Fei that Cai Hong is looking for that bracelet that Shao Tian had given her. 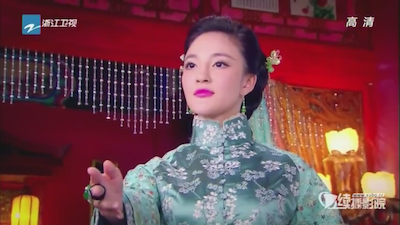 Fei Fei, being a vindictive b*tch, finds the bracelet, and starts some drama. 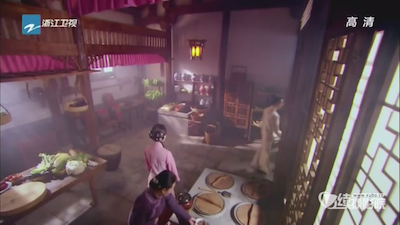 She throws the bracelet into the stove-fire while Cai Hong was cooking, and Cai Hong actually burnt her fingers retrieving the bracelet. 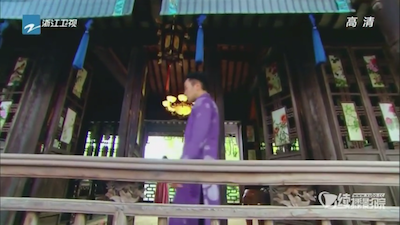 During their confrontation, the corny drama thing happens where Jiang Yu happened to stand outside the whole time and find out the truth about Mama Jiang. 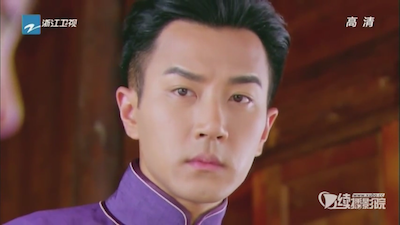 He finds out that it was actually Fei Fei that actually started the fight with Cai Yun, and that Cai Hong just took all the blame for it, just to cover up for Cai Yun, and Fei Fei went along with it to blame Cai Hong too. 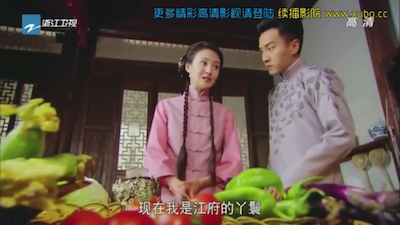 At one point, Jiang Yu finally steps in and gets Cai Hong some medical attention for her burnt fingers. 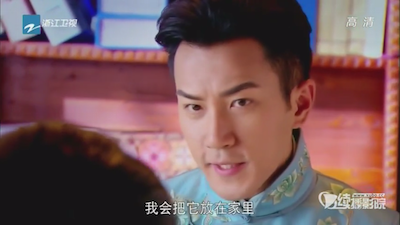 He confronts Fei Fei afterwards about what he heard. 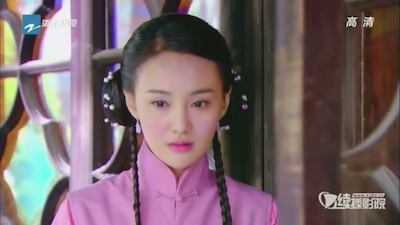 I find Fei Fei very pretty actually, even though I wouldn’t say that she’s the prettiest that I’ve ever seen. 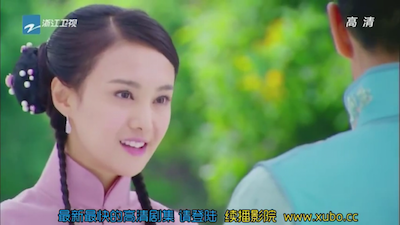 I don’t think a lot of girls can pull off the middle-parted hair, and so I think that her and Cai Hong could look so much prettier if they had different hairstyles. Anyways, Fei Fei admits to blaming everything on Cai Hong, even though she knew that Cai Hong had nothing to do with it. 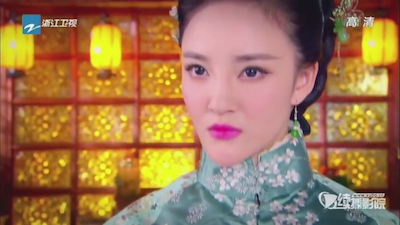 Fei Fei also admits on lying about her responsibility about Mama Jiang’s tumble. The corny drama thing happens yet again where Cai Hong overhears everything outside the door and realizes that Jiang Yu isn’t all that bad. 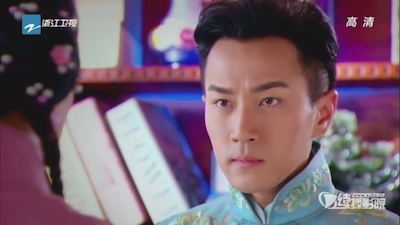 He seemed to have a lot of integrity as he was chastising Fei Fei for doing such catty and manipulative stuff, and Cai Hong found out that he didn’t direct Fei Fei to frame Cai Yun – even though he tried to take the blame for it. 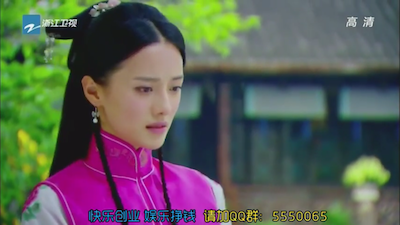 They both came to the conclusion that Fei Fei and Mama Jiang were the ones that Jiang Yu wanted to protect, and Cai Yun and the stepmom were the people that Cai Hong wanted to protect, and they both respectively told certain lies to protect their loved ones. Here’s where Cai Hong slowly realizes Jiang Yu really isn’t a bad guy :). Cai Hong bumps into the worker that she saw during the whole ‘show’ when they were trying to get Shao Tian of stealing the money. She thought his arm was really cut off. He told her it was just an act – it was pig’s blood and a fake limb. He vouched for Jiang Yu and said that Jiang Yu was a good man – Jiang Yu took him in and gave him a job when he was homeless. 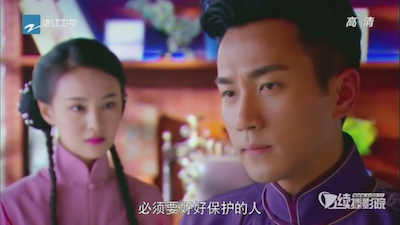 Cai Hong starts to wonder if she’s gotten the wrong idea about Jiang Yu all along, especially after her confrontation with him earlier. 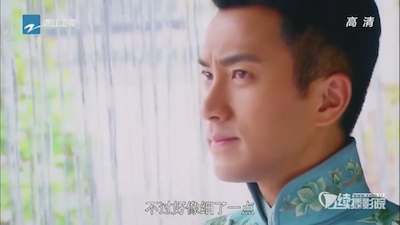 Jiang Yu asks to see Cai Hong. Cai Hong uses this as an opportunity to clear the air with him. 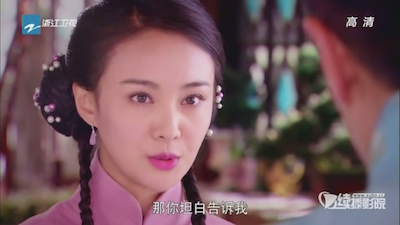 Jiang Yu reasons with her about her concerns and swears that he never killed Wu Hong Da, and that everything that he’s ever done was fair and just in a business sense. Somehow this time around, Jiang Yu finally gets through Cai Hong’s stupid brain and she finally accepts that Jiang Yu might actually be a good guy that was looking out for her. 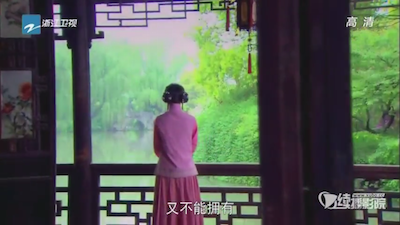 At the same time Jiang Yu presents her with a set of threads to make up for her burnt bracelet – Cai Hong can’t find the right colors in the selection that he’s presented, so he takes her to a magical place. … and by magical place, I’m talking about a storage place of colorful threads of all sorts. 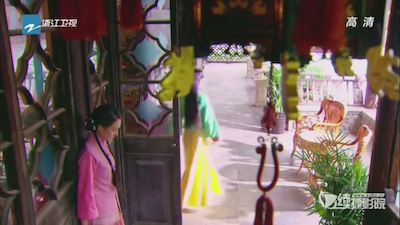 It was so pretty to see in the drama, and I thought it was so thoughtful of him to try to make it up to her, even though the bracelet was gifted to her by his rival. I cannot believe that this man is 40 years old (actual age). 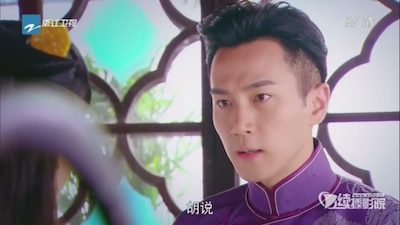 Cai Hong begins to see Jiang Yu in a different light (ARE THEY FALLING IN LOVE?!) and sees how caring and sweet he is in so many ways – they become somewhat more like friends rather than enemies. 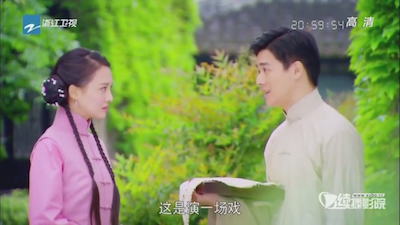 I really hope it stays this way – Zheng Shuang is a lot less annoying when she’s sweet, and Jiang Yu is so charming when he’s acting so caring and thoughtful. They finally find the right threads, and Cai Hong is elated. 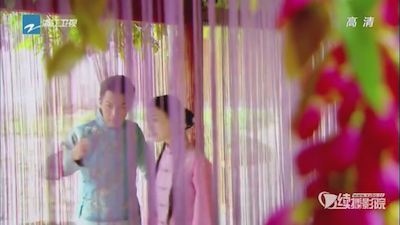 And Jiang Yu cutely begins to help her mend it and fix it right there. Seriously he could be brushing his teeth and I would still find it unbearably adorable. 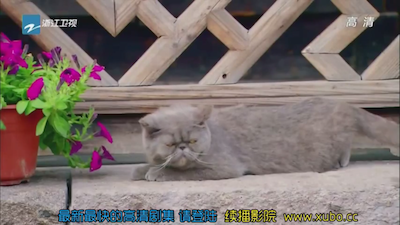 Ok at this point your expression is probably like this cat and you’re sick and tired of my gushing about Jiang Yu, but just give me a few more sentences. 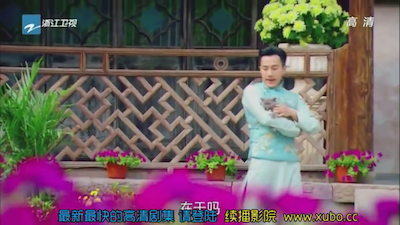 On their way back Jiang Yu sees Oolong and picks him up and plays with him (again, in the cutest manner ever). 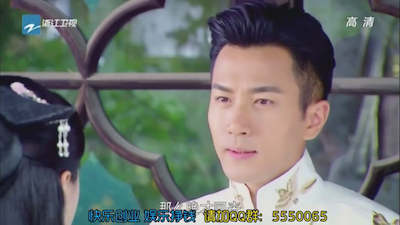 Cai Hong noted that Oolong is very honest, and Oolong is only good to whoever is a good person and treats him well. AH I like their relationship so much better now they’re on equal terms. I hope nothing happens to ruin this ):< well, it’s a drama, so something bad will likely happen. In fact, it’s guaranteed to happen, because, well, there needs to be drama in a drama. 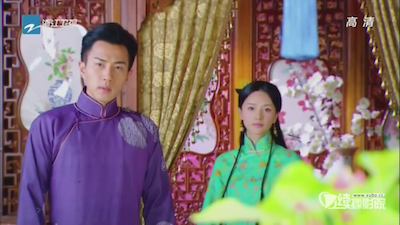 Fei Fei witnesses their newfound friendship, and sees how he took her out for so long and starts to become jealous. Fei Fei approaches him to hand him an invite to a new opening of a new fabric factory (guess who?!). 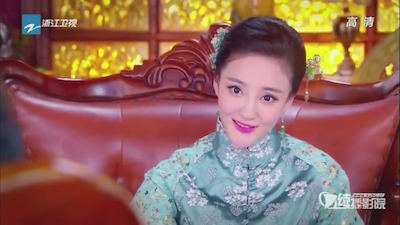 Jiang Yu agrees to go, and the video ends with Fei Fei trying to pick something nice to wear to the event. 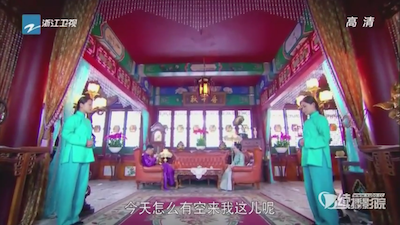 Bahaha poor Fei Fei doesn’t get to go to the opening of the new factory opening obviously, and Jiang Yu takes Cai Hong. It’s Shao Tian’s new factory that he partnered with Lu Man. 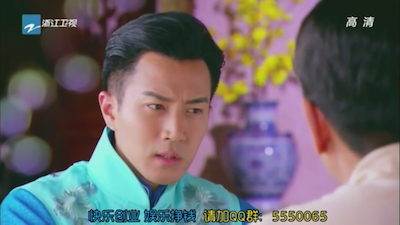 Jiang Yu keeps challenging Cai Hong to ask her to think where Shao Tian had gotten so much money. 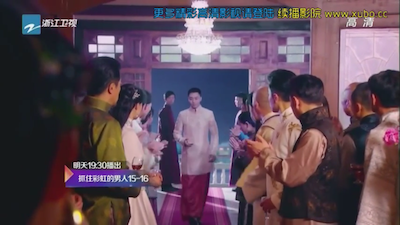 More in the trailer that I didn’t screencap is the revelation that Shao Tian didn’t go to any of the lenders to get money, but somehow having a lot to bid on Cai Hong’s old house, causing Cai Hong to start to suspect him. 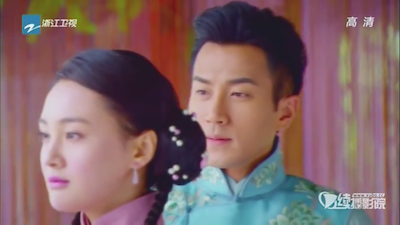 So far I’m actually enjoying on where the drama is going, because finally, we’re anticipating the truth to come out about Shao Tian, and Jiang Yu and Cai Hong are slowly going to fall in love! 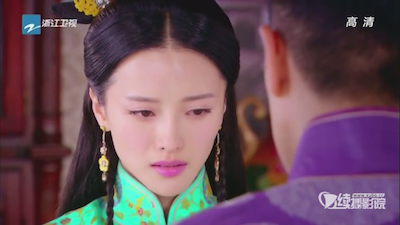 I feel really bad for Fei Fei too… I feel like she’s the most deserving of Jiang Yu’s love and she’s really not that bad. 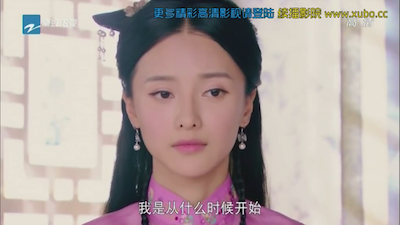 I hope that she doesn’t turn all evil though, because she’s a really nice second female lead that I don’t mind seeing – imagine if all the female leads were unbearable like Zheng Shuang. I saw Zheng Shuang in an interview and she said she had trouble adjusting her acting to the Republican Era because she was too used to the modern day roles. I’m relying on your recaps homegirl 😀 I stopped watching for now but prob watch the drama after it ends. I think the same way about Shao Tian. Why did he steal in the first place? Also remember when Shao Tian and Jiang Yu were kids and they both pulled carts past Cai Hongs dad? I get that Jiang Yu holds a grudge but why Shao Tian (if in fact at the time he did think that Jiang Yu dad committed suicide) so yeah I don’t get it? LOL her chin is the thing that gets me the most. Everytime there’s a side angle, it protrudes so weirdly out. She should get a refund from her plastic surgeon.